Try out EQ Mapper 3D (alpha version), a java applet that lets you view maps in a 3D space. 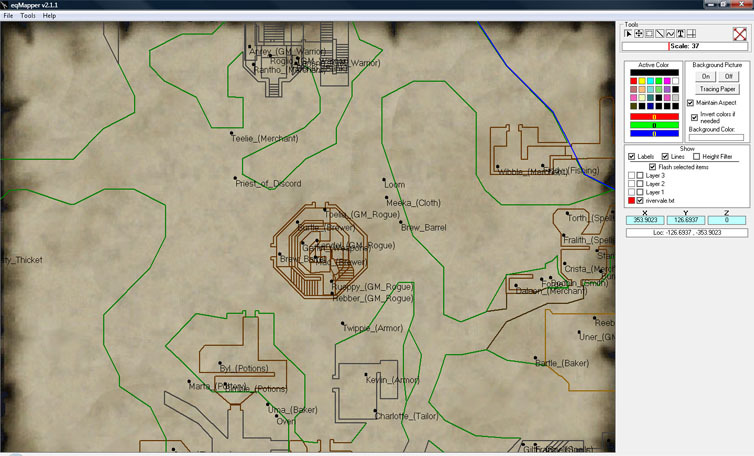 eqMapper is an offline map editor for the game of Everquest. 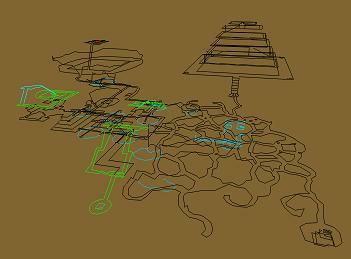 You can use it to map out zones that aren't currently mapped or just to tweak things. * Fixed a bug where the program would crash if you tried to select a black line. zoom center to that location, however. the one on the background image as a reference. scaling until the second loc is in the correct place over the background image. don't adjust the scaling or panning until you have drawn some lines or you will loose your frame of reference. buggy still and sometimes requires you to re-center the content and run it again. Still it's worth including. will be disabled. While CTRL is held down you can only add to your selection, you cannot unselect items at that time. the height filter). This is unchanged. this is the opposite from the previous version. * the escape key is still used to end line drawing mode. * right click will temporarily switch to the pan tool, letting go returns to whatever tool you had previously selected. * The mesh overlay has been redone, it can now be left on even while editing and doesn't take forever to draw. the indicator will toggle it. to say... mark a spot where an NPC is or something. see it in eqMapper, it will still save with the correct color. Also this option can be disabled. that is the same color. will be asked for a file to save it to.